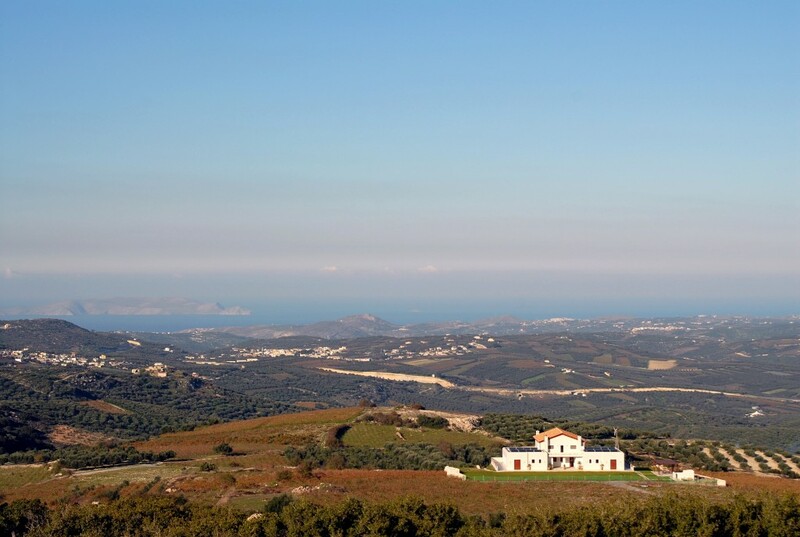 Nestled between two mountain ranges, surrounded by vineyards and with a lovely view of Heraklion, Villa Serafina is an ideal for peaceful holidays in Crete. Very nearby are famous archaeological sites, monasteries and Byzantine castles. Guests can participate in many fascinating agricultural activities throughout the year such as grape and olive harvest, to name just a few. 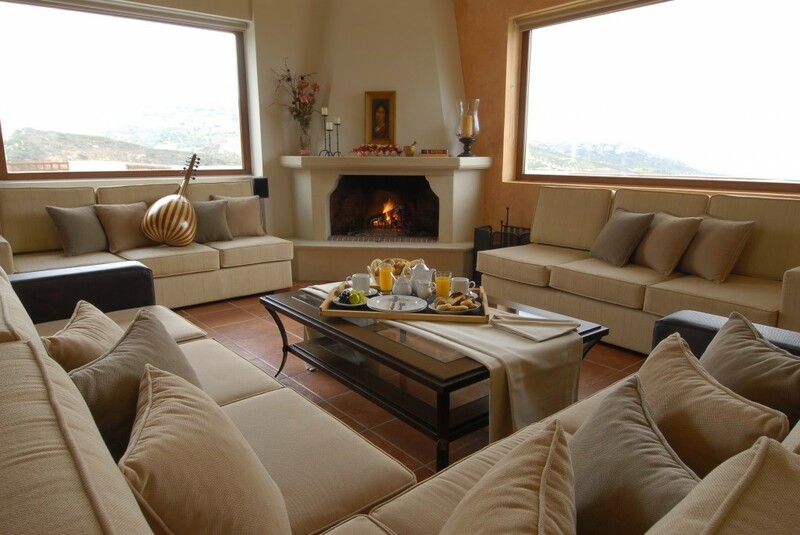 Villa Serafina artfully combines the modern comforts of a holiday resort with the simplicity, warmth and familial character of Cretan hospitality. 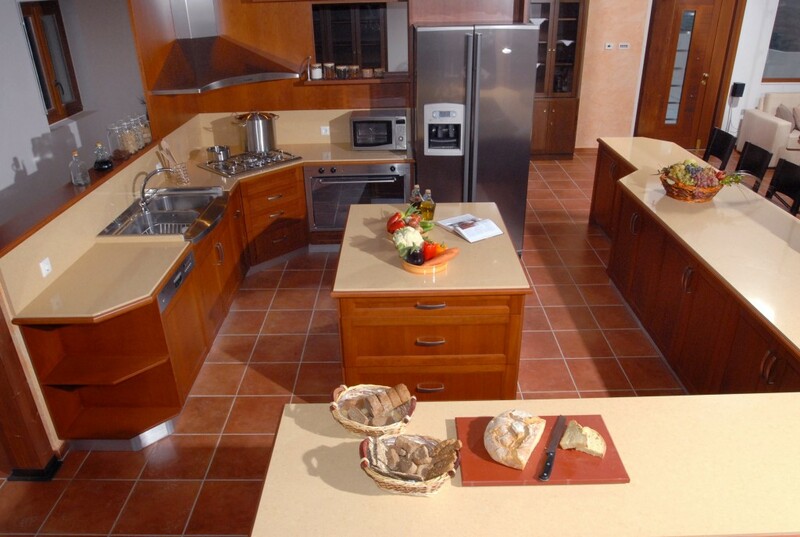 It is fully equiped and outfitted with everything you might need to enjoy your holiday in the peaceful, pictureseque environment. The living and dining areas seat 12 comfortably and there is an additional meeting room with 40 seats. There are 6 twin-bedded bedrooms (4 of which can be converted to doubles), 4 bathrooms and 2 WC. 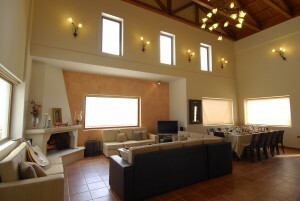 Other indoor facilities include 2 spas, home cinema, internet corner, play room, gym and a cellar with hand-picked wines. 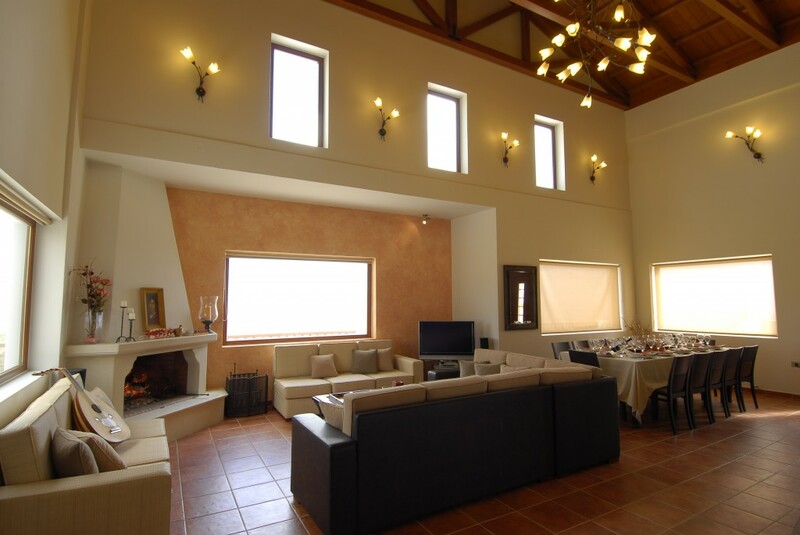 Careful attention has been paid to the environment and therefore, only renewable sources of energy are used to cover the power needs of the villa, including the beneath the floor heating. 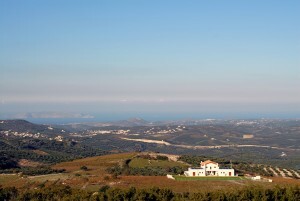 The outdoors is resplendent with gardens of local plants, orchards and vineyards. There is a large pool with ample sunbeds, BBQ and large table for outdoor dining. Children have their own pool and playground and additionally there is a grass playing field for soccer or hockey. •	On site Manager daily from 8-15:00. •	opportunity to participate in agricultural activities (grape, olive harvest, raki production, etc.